Annually, heart disease costs approximately $207 billion in healthcare expenses and lost productivity. The Telligen QIN-QIO works with healthcare providers to support the Million Hearts® initiative in its goals to help more Americans live free of cardiovascular disease and reduce health disparities associated with cardiac health. Assists you with process improvements for better performance on cardiovascular clinical quality measures. Offers networking and sharing opportunities focused on spreading best practices and learning from successful improvement efforts. Provides you with access to no-cost tools, resources and educational webinars to help you improve processes, patient education and care coordination. Telligen’s Cardiac Health quality improvement facilitators have hand-selected resources, educational webinars and action-based guidelines for these informational toolkits. Each toolkit contains hyperlinks to cardiovascular-related topics. Download and save them to your computer or access them here as we continue to add new items. Access all the Cardiac Health Resources Toolkits. Heart disease, stroke and other cardiovascular diseases kill over 800,000 Americans each year, accounting for one in every three deaths. It’s the nation’s number one killer among both men and women and the leading cause of health disparities across the population. 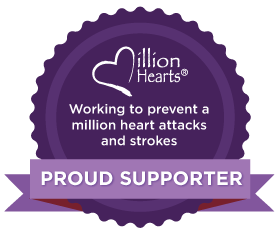 To address this issue, the U.S. Department of Health and Human Services (HHS) established Million Hearts®, a five-year initiative co-led by the Centers for Disease Control and Prevention (CDC) and the Centers for Medicare & Medicaid Services (CMS) with the ambitious goal to prevent 1 million heart attacks and strokes by 2022.